Possibly the best time management advice ever! One of the best time management advice stories goes like this. Charles Schwab was a steel mill Magnate in the 1930s and asked a time management guru, Ivy Lee, for his top tip. Ivy Lee gave the tip and said he was so confident of his advice that Charles can try it out and pay him whatever he feels the tip is worth. After a few weeks Charles was so impressed with the usefulness of the advice that he sent a cheque of $25,000. In modern money this is about $344,000. Wow! 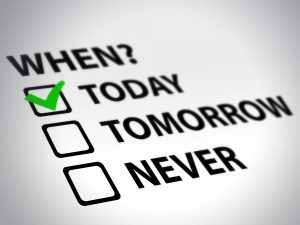 At the end of a day list the key tasks that you need to get done the next day. Prioritise them (ideally 1 to 5 priorities). Next day work on tasks in the order of their priority/importance until daily time allows, not proceeding until a task was completed. Get as far as you can on the priority list. Keep doing this every day. Charles M. Schwab said this tip was the most profitable advice he had ever received. He was the first manager in the US to get over a million dollars a year so he must have been a competent guy. We all have the same amount of time and there is normally plenty to do. Managing our time optimally is so important and gets us ahead. https://www.athena-executive.com/wp-content/uploads/2017/03/Athena-logo.jpg 0 0 admin https://www.athena-executive.com/wp-content/uploads/2017/03/Athena-logo.jpg admin2017-07-06 19:07:012017-07-28 19:03:02Possibly the best time management advice ever! I have several job offers, how do I decide which to choose? In the current economic climate, securing a new role is difficult for many candidates, but if you are lucky enough to have several job offers, you will want to ensure you make the right choice. It may be the case that you have been unemployed for a long time and suddenly you find yourself inundated with offers. It can be tempting to just take the first one offered to you or to focus only on the salary, but there are several other elements to take into consideration. In order to get real job satisfaction, it is important to work in an environment which suits you and the culture is often an aspect which is discounted when candidates make a decision on accepting a job offer. The wrong culture can make you truly miserable, even if the salary and benefits exceed your expectations. You will be spending most of your life at work, so the right culture fit is vital. For example, if you prefer to work on your own initiative, you won’t get job satisfaction if you are micro managed. Similarly, if you prefer a relaxed environment and the culture is very corporate and strict, it won’t be the right fit. Take time to consider where you would feel most comfortable and consider this when making your decision. You will gain a lot of insight into the culture during the interview process. Don’t be afraid to ask for as much detail as possible about the role and the expectations the manager has for you. If you start a role, only to find that you are quite quickly fire fighting to keep up with the workload, you will be completely disheartened. There should be an induction process and training provided for you, before you are left to get on with the workload. You should definitely not feel stressed and overwhelmed as soon as you start the job. This is an obvious consideration when accepting a job offer, but it’s not just the financial benefits you should take into account. For example, if you have childcare issues and need to work specific hours, make sure the company can accommodate this before you accept. You may also be interested in working from home occasionally and if this is important to you, be sure to clarify this before you accept. A two hour commute might not seem like a lot if the salary is competitive, but this can quite quickly become frustrating as it will leave you with very little spare time in the morning and evening. The location is an important aspect to take into consideration, both for the financial implications and the potential stress it may cause you. Make sure you are able to commit to this long term before you accept the job offer. This very much depends on your future career plans. If you are happy to stay in the same role for the rest of your career, it may not be an important consideration. However, if you want to develop, make sure there is a career line of progression within the company. https://www.athena-executive.com/wp-content/uploads/2017/03/Athena-logo.jpg 0 0 admin https://www.athena-executive.com/wp-content/uploads/2017/03/Athena-logo.jpg admin2017-07-06 18:10:482017-07-28 18:59:00I have several job offers, how do I decide which to choose?